What would you do as that? : I would help the community and improve the server in any way i can. I would also do my best as a GM to help both the server and the players by making improvements, dedication to being online the server, and my responsibility and duties as a GM on the server. How can you support the server? : I can donate at times for example $10-$20 a month to help maintain the server since i very much enjoy it and do what is needed to keep it running. I would love to see this server become populated and grow through the time it is up and hope that this server becomes a successful one . I would also do all I can to improve the server such as new ideas for event, NPC's, and other things that might or might not need improvement. Why do you want to be a GM? : I like helping out new players since I myself was a "Noob" and needed help with the game such as: "where is a good place I can train? ", "How can i make money? ", "where is this certain map and how do I get there? ", and so on. Since i appreciated people helping me I'm sure other players would appreciate the help as well. I am also very familiar with the ways of maplestory and contain a lot of knowledge of the game itself on both GMS and private servers. I know my duty and rules to follow as a GameMaster such as giving out free items is a big no no, and not doing anything else that might cause troubles. I am very active and believe that i would be a great addition to the staff since I would be able to help out a lot when needed or even if i am not needed. Will you still stay at BeastStory/AlphaStory if you are denied? : Definitely YES! I loved and enjoyed playing on this server before and after the sweep. I also enjoyed being online for the game itself but more importantley because of the friends i have made and the players on the server that i talked to. And experience? If so, picture would help a lot: I have been a GM on several servers including, SlapmefiveMS, invisionMS, and iBlueMS. I am familiar with the commands and the rules that i must abide to. From my past experience I have gained a lot of knowledge and have had first hand experience with server issues such as an server closing, or having problems such as hacker, bugged or glitched items, maps, etc. I can help other staff member who may need to be helped with certain things and will be willing to do any other thing if asked. Small Biography: Born in Pasadena, CA. I love sports and video games and enjoy spending time with family, but i still find time to get on the computer (at least 4 hours) and spend time with friends online or in real life. 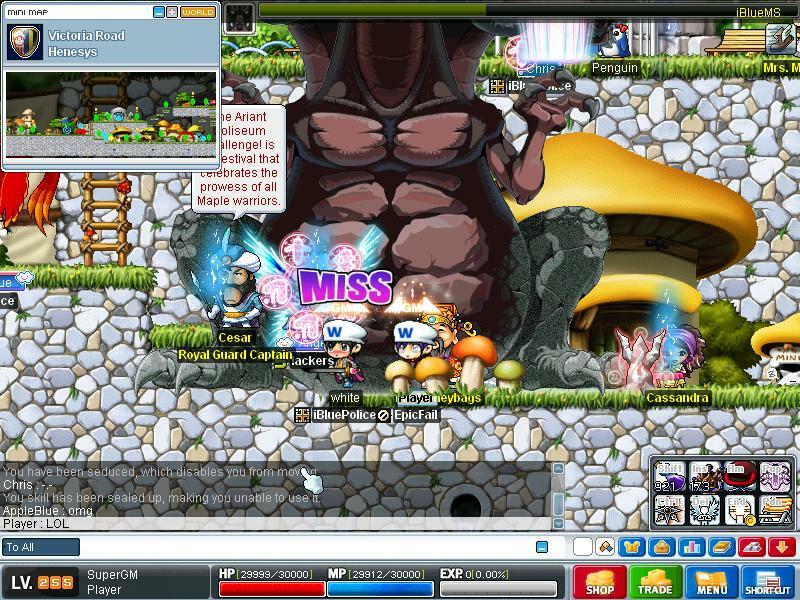 I have also been playing Maplestory GMS for 5 years and private servers for about 4 years. I would add a bit more, just to get more of a sense. and didn't you just join? or completely set because of the set back of the hack/whipe? Don't lie in your application. I just joined from the swipe but i have been playing on this server for a while now. YO!!!! that's me!! there's my picture for exp guys but other then that, its a nice improvement.